February is the month of love. Not only is it a month where the cold of winter starts to melt away, but it’s the month where love is celebrated across the country. Valentine’s day, while some believe it to be a cliche, is a day dedicated to lovebirds spoiling each other with little gifts, getting dolled up, and enjoying a night out on the town. If you’re the owner of a restaurant, this is a night that you need to take advantage of! This is a night where you can almost guarantee a crowd will be waiting to enjoy a delicious meal. So, how do you ensure that that’s the case for your restaurant? Well, the team at Visual Retail Plus is here to help. We have a few Valentine’s Day promotions that you can consider implementing to make the night a success. If we’re lucky, your significant other won’t be the only thing that you love that night! 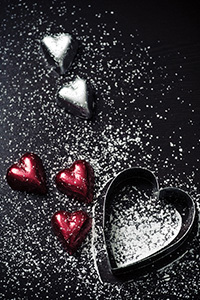 Let’s start off by talking about a few of the reasons Valentine’s day is so significant for restaurant owners. We mentioned just a minute ago how Valentine’s day is a day where people spoil their significant others with little gifts and date nights. Would you believe it if we told you that the spending dedicated to this day was over 1 million dollars? The truth is that it is well over 1 million dollars. The average Valentine’s day spending comes out at $13.19 billion. That means that, on average, each person spends a little more than $100 on Valentine’s day. Be it on dinner, gifts, or surprises, that’s money that you can bring into your business, with the right promotion. That being said, nearly 35 percent of couples go out to dinner to celebrate the day. So regardless of what day it falls on (heck, it could be a Tuesday), your restaurant could be booming! Keep reading for a few of the promotions that can make your restaurant the place to be when February 14th rolls around. People know that Valentine’s Day is going to be a popular night, especially when it comes to dinner. Whether you live in a big city or a small town, reservations are a good way to guarantee that you have a busy night. If you often receive calls to make reservations, start offering a discount to customers that make an early reservation. That way, you can fill your book faster, prompt customers to make reservations earlier, and guarantee a busy night at the restaurant. While Valentine’s Day really is just another day in the year, it’s a holiday that’s been dedicated to celebrating love. That being said, one of the best ways that you as a restaurant can draw customers in is by creating a unique menu that you don’t serve on any other given day. 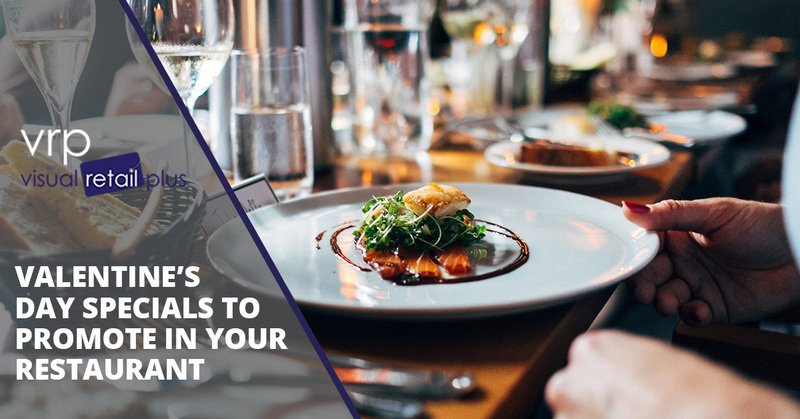 Since it is such a busy night for restaurants, it’s not uncommon for businesses to shorten the menu and provide only a handful of options for their customers to choose. Not only is this an opportunity for you to try out some new items, but it’s an excellent way for you to ensure that even when the restaurant is packed and busy, your kitchen is able to perform in a smooth and controlled manner. Some of the options commonly found on Valentine’s day menu are a tasty steak or prime rib, a beautifully prepared seafood option, and another option that caters to customers that may not consume meat. Cater your unique menu to whatever it is that your restaurant is known for. At the very least, you might get some reservations made for some curious customers eager to try this special menu. We know that Valentine’s day can be a major cliche, but when love is in the air, you might as well cater to it. Having a unique menu, as we just mentioned, is one of the ways that you can make this a special night that attracts customers, but why not factor a little more love into the meal? Hearts are a given when it comes to this holiday, and we always suggest finding ways to incorporate hearts into your meal to make it even just a little bit more romantic. Whether you choose to decorate the space to fit the theme or serve a heart-shaped dessert, there are a lot of ways that you can cater to the endless flow of love. We’ve only mentioned a few of the ideas that you could implement to draw in a crowd this Valentine’s Day, but there are countless others that you could take advantage of implementing, and we’ll touch on them in our next blog. For now, let’s talk about preparation. Big days like this call for organization and planning. If you’re not prepared to handle the large crowd that Valentine’s Day is warranted to bring, it could hurt your business more than help. One of the things that you want to make sure you have taken care of is your POS system. Visual Retail Plus makes busy nights like this a breeze. From your inventory to the orders that are being entered, we can help ensure that your Valentine’s Day dinner goes without a hitch. If you’re currently struggling with the point of sale software that you’re using, reach out to our team. Visual Retail Plus is made up of small business owners that know precisely what is needed in a point of sale system for small businesses. Let our team provide you with a walkthrough and get you set up before the Valentine’s Day rush.